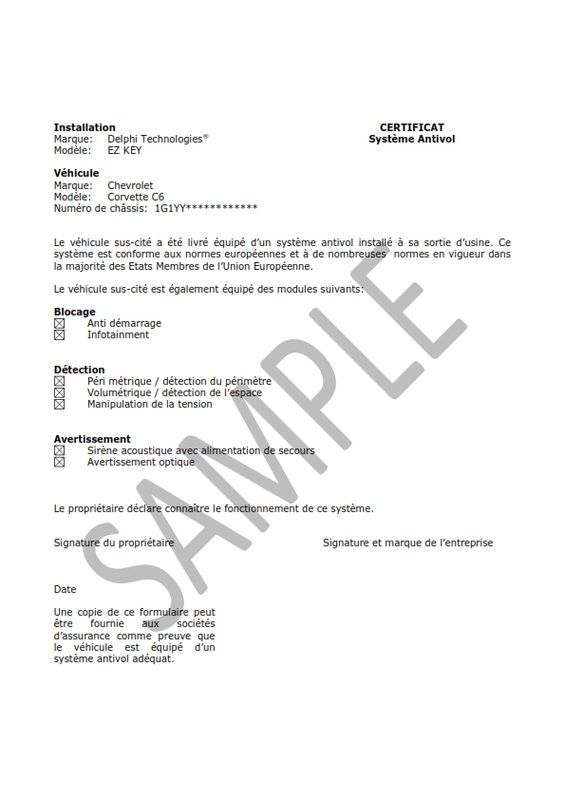 Anti-theft System Features Statements are only available for vehicles which are type approved according a European Whole Vehicle Type Approval (WVTA). 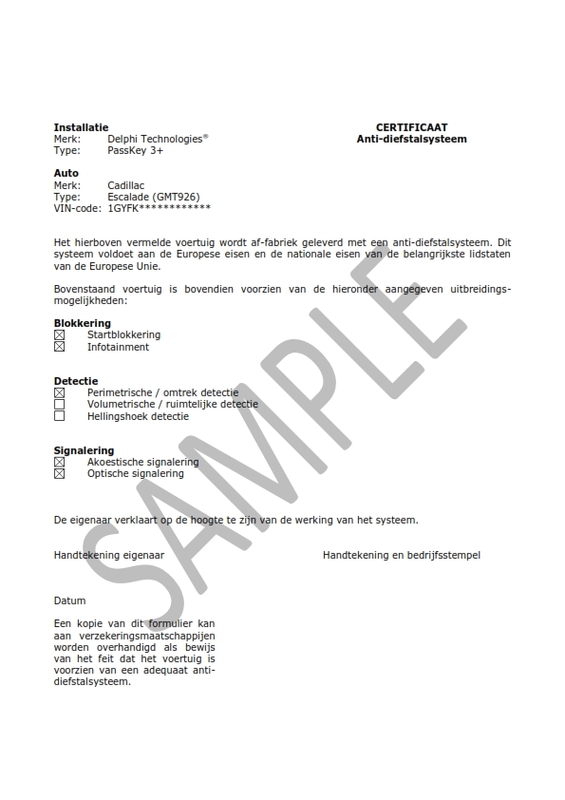 Before ordering a Anti-theft System Features Statement, please verify if the vehicle is covered by a European Whole Vehicle Type Approval (WVTA). WVTA vehicles are recognizable by the European Whole Vehicle Type Approval Number mentioned on the manufacturer’s plate/label. Please find more information in the section “COC Information” regarding European Whole Vehicle Type Approved models in order to determine if a Anti-theft System Features Statement is orderable.